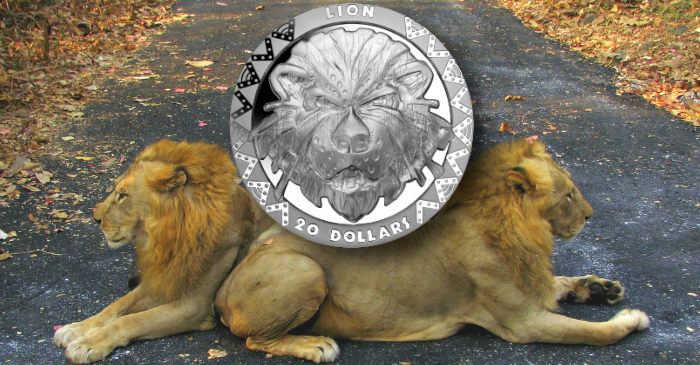 The Bank of Sierra Leone has issued (8th March) the second of five silver Proof-quality double crowns in a new series entitled the “Big Five.” The Big Five refers to the exceptionally beautiful creatures within the animal kingdom who freely inhabit the African continent and whose presence in the wild is both breathtaking and reassuring. The Big Five includes the African elephant, the lion, the leopard, the rhinoceros, and the water buffalo, which will all be featured in this series during the year. These animals are quintessentially a part of African life in many countries with great open spaces and unspoiled natural habitats. For those planning a safari to Africa, the Big Five represents safari royalty, and, though originally used as the term to describe the five most difficult and dangerous animals to hunt on foot, this term is now thankfully used to describe the five “must see” animals on your never-to-be-forgotten experience. These unique and incredible animals are impressive in their own right, and if you are lucky enough to witness any of them in their natural habitat, it will remain with you for years to come. 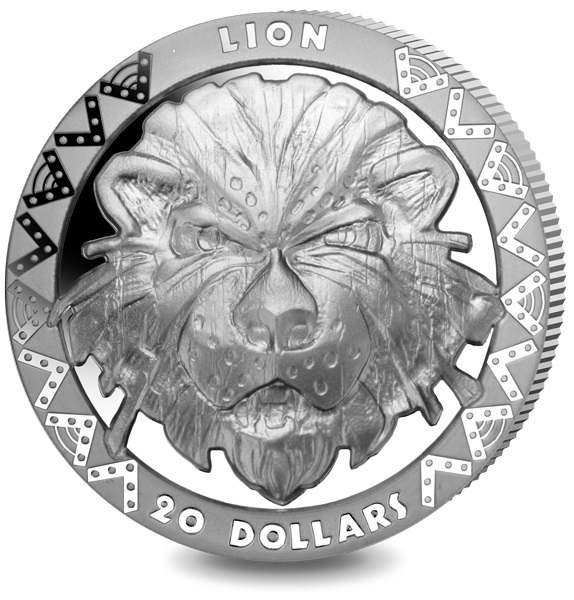 The first coin featuring the elephant proved to be extremely popular, while the second coin features the undisputed King of the Savannah — the lion. The world’s second largest cat, a male lion can be 3.3 metres (10.8 feet) in length, which does not include his tail, and can weigh up to 250 kilos (550 pounds). Most safari sightings are of cats sleeping in the shade, as lions are more active at night when they hunt for their prey. This powerful, big cat has been the subject of many famous films: Born Free, The Chronicles of Narnia and The Lion King. The coin has been produced by the Pobjoy Mint, UK at their facilities in Surrey, England, on behalf of the Bank of Sierra Leone. They are specially minted in high relief on two-ounce fine silver polished blanks. The obverse side of the coins feature the image of a male loin’s head, styled as an African mask. The special incused rim features an African pattern, which will continue throughout the theme. 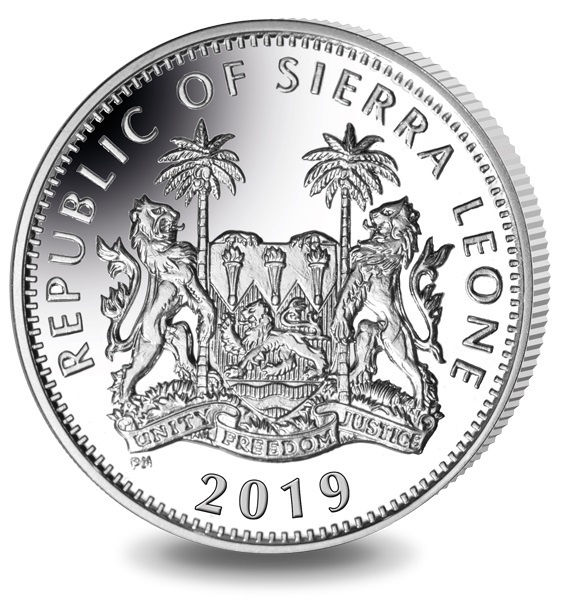 The reverse of the coins features the crest of the Republic of Sierra Leone, which is centred in the middle of the coin with the text REPUBLIC OF SIERRA LEONE placed above the crest. The year of issue, 2019, is shown beneath the crest. 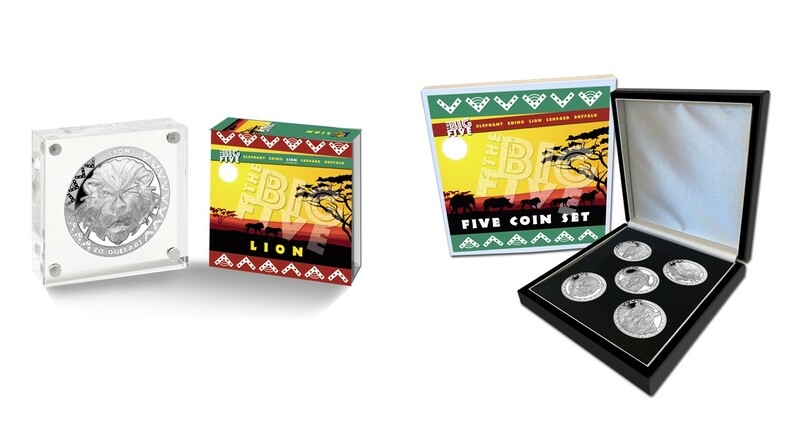 This is the second coin in the series and a further three coins will be released featuring the remaining animals known as the “Big Five” during the year. Each two-ounce fine silver coin has been produced in high relief and is encased in a creative Perspex container in the shape of a square which frames the coin, allowing for easy display. The frame is packaged in an outer-printed sleeve and includes the certificate of authenticity. For additional information about this coin and others issued by the Bank of Sierra Leone, please visit the website of the Pobjoy Mint UK.